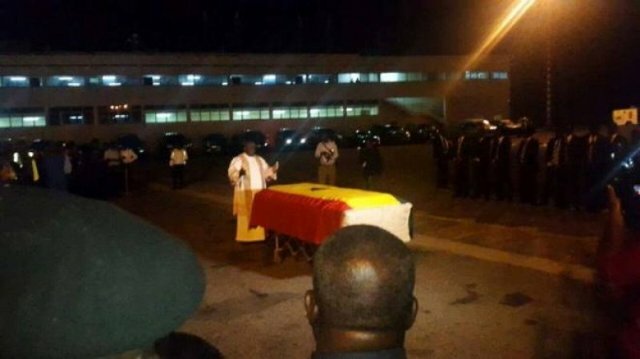 NPP bigwigs converged at the Kotoka International Airport Tuesday evening to receive the remains of the party’s late Chairman, Jake Obetsebi-Lamptey from the United Kingdom. He will be laid to rest on Friday, April 22, 2016, according to a family source. The first part of the funeral will be a pre-burial service on April 21, 2016, at the Accra Ridge Church, from 6pm to 10pm. This will be a Celebration of his Life, and in accordance with his wishes, the attire will be ‘Joyful Colours’.